← Through the mist of water. . . . Imagine the courtiers in 1568 strolling along the path, listening to the splash of fountains, sharing a small secret – glancing back to see if we will catch up with them. Even the ground is a work of art. The stone mosaic path measures the length of the terrace, leading us between the hedges and towards hidden delights. Come with us to see what is beyond the columns and the arch. Special pricing available for those who pay in full by Thanksgiving for this unique Italian retreat – February 15 to 22, 2015. 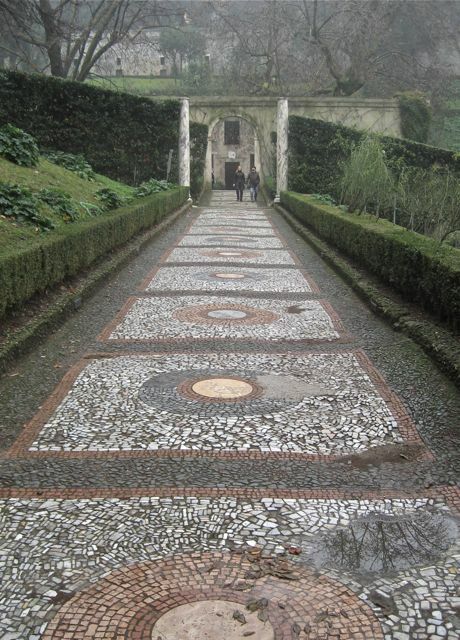 Renaissance gardens, art meditation and so much more!